I have all of my PicoSure laser tattoo removal patients wash the treated area with a mild soap each day, apply a liberal amount of Aquaphor ointment and cover it with a protective dressing until the blisters have subsided. 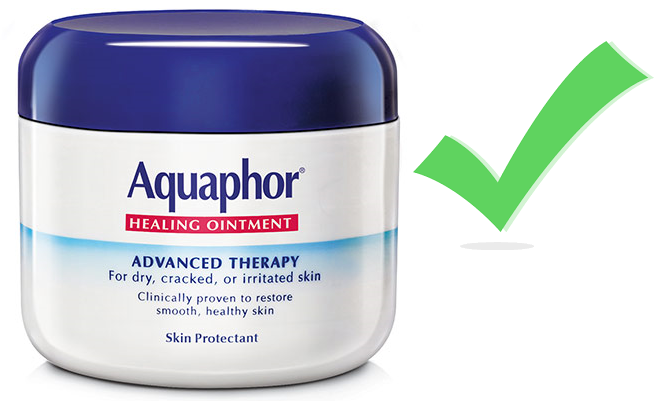 This supports the skin, protects it and prevents any blisters from being torn off during routine daily activities. By carefully cleansing and protecting the treatment area, we ensure that the skin is ready for the next treatment. Eventually, the area will look as though it had never even been tattooed. If you have a tattoo you want removed professionally, safely and effectively, I can be reached by phone @ 512-479-9997 or just stop by my NEW location in Austin, TX: Austin Medspa on W. 6th St. I NEED TO TAKE AN ANTIBIOTIC I HAD LASER TATTOO REMOVAL AND IT STATES NO ANTIBIOTIC PRE TREATMENT NOT POST TREATMENT. I HAVE TO TREAT THIS SINUS INFECTION THAT I KEEP ON DELAYING DUE TO NOT KNOWING IF IT WILL EFFECT THE FLUSHING OF THE INK AND THE POST OP REMOVAL PROCESS. I CANT FIND ANY ADVISE ON WHEN I CAN TAKE IT AFTER I HAD LASER. SOMEONE PLEASE HELP!